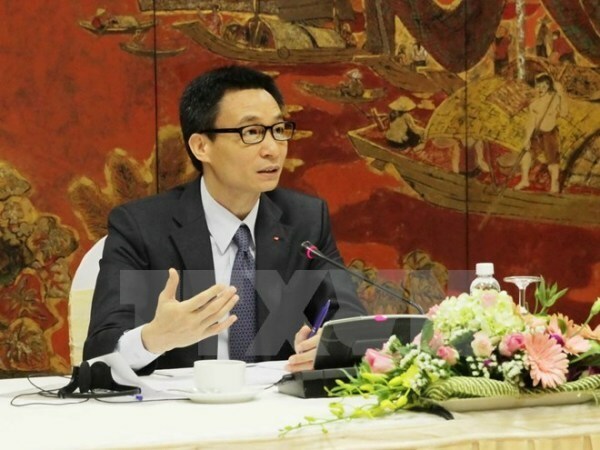 Hanoi (VNA) – Entrusting autonomy for universities is necessary to improve the quality of higher education, Deputy Prime Minister Vu Duc Dam said. He made the remark at a working session with relevant ministries and 13 universities to review the implementation of the Government’s Resolution 77 on trial reform of public tertiary education institutions’ operation mechanisms for 2014-2017. He clarified that autonomy does not mean universities can do whatever they want without State control. Autonomy must go with accountability to ensure education quality, he stressed. The Ministry of Education and Training will promulgate compulsory regulations for universities, based on which universities will conduct public self-evaluation of their quality, he said, adding that it is important to specify the responsibility of school boards to deal with major issues, including those relate to science development orientations and personnel investment. In addition, there should be a monitoring mechanism that is separate from the executive apparatus. According to the Ministry of Education and Training, under Resolution 77 the Prime Minister will allow 13 public universities to pilot the renovation of operational mechanism. Most of the participating universities are involved in economic training.